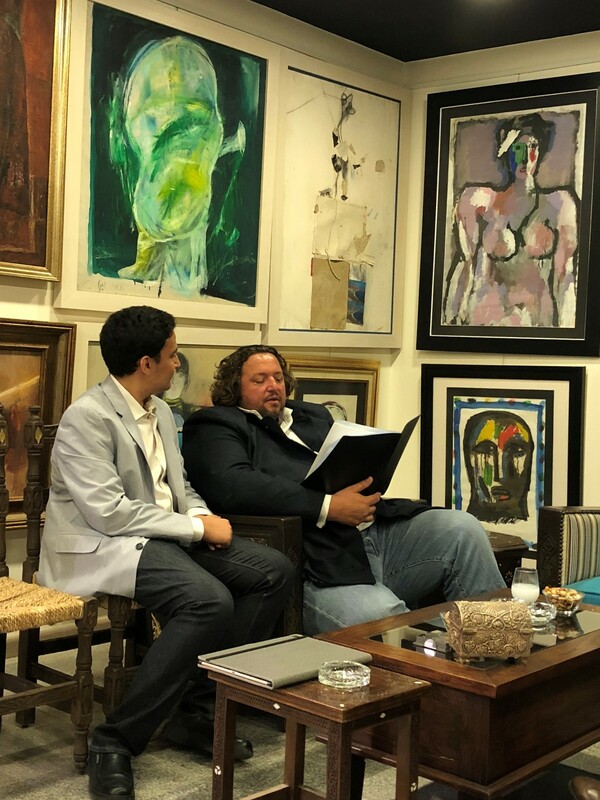 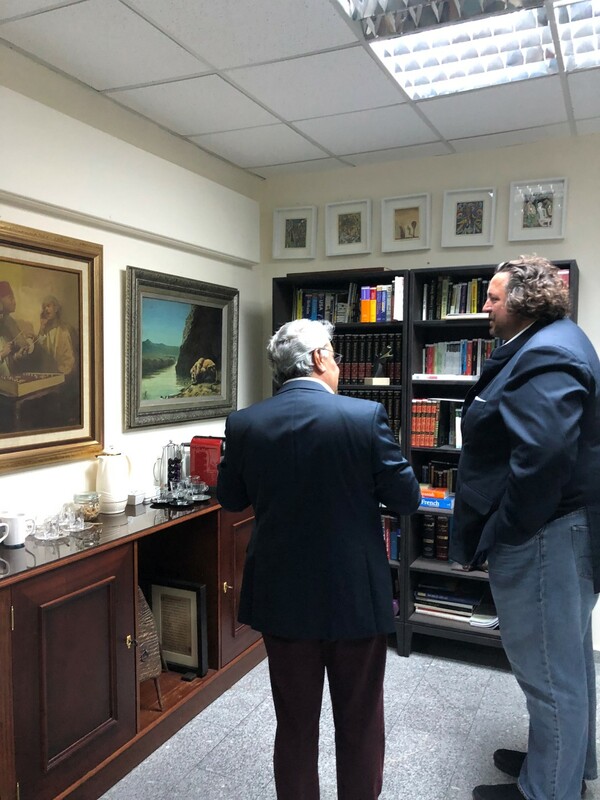 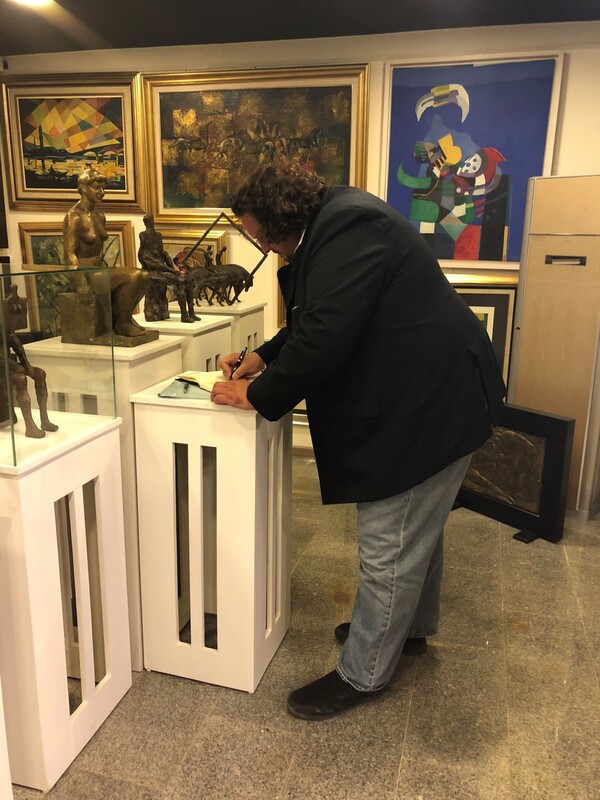 Charles Pocock is Meem Gallery Managing Director visited Ibrahimi collection on 10 th of April 2018 . 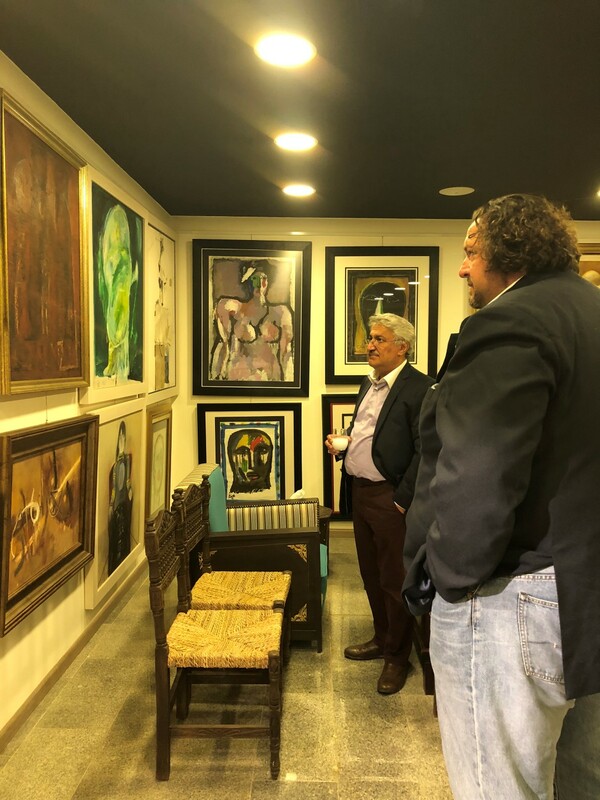 Meem Gallery specialises in the work of modern and contemporary Middle Eastern masters. 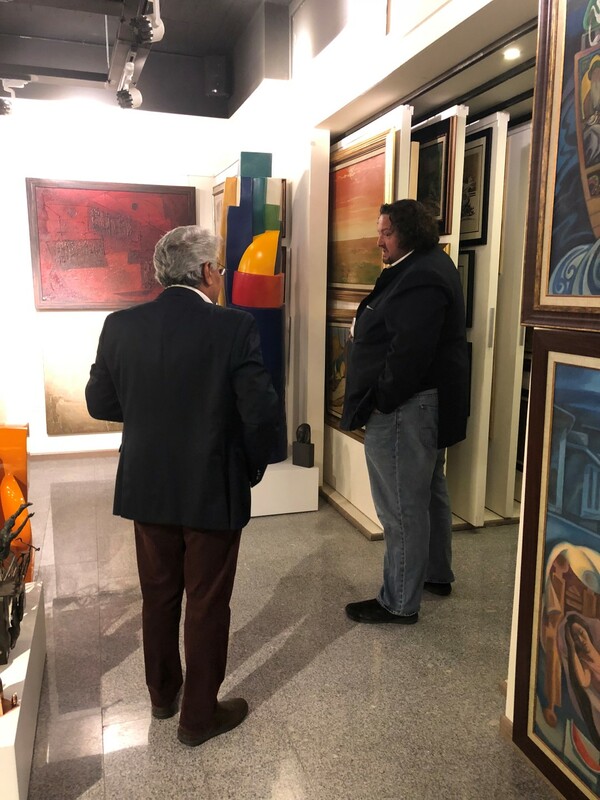 They have exhibited the work of artists such as Jewad Selim, Shakir Hassan Al Said and Dia Azzawi (Iraq), Parviz Tanavoli and Abbas Kiarostami (Iran), Ali Omar Ermes (Libya), Nja Mahdaoui (Tunisia), Ibrahim Salahi (Sudan), Mohamed Melehi, Ahmed Cherkaoui and Jilali Gharbaoui (Morocco), Mahmoud Said, Adam Henein and Gazbia Sirry (Egypt) and Khaled Hafez. 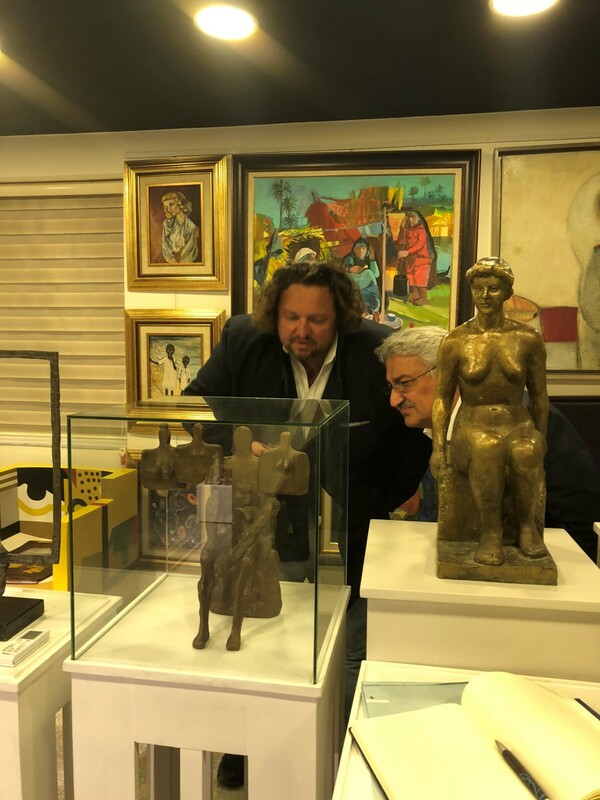 The artists they represent have work in leading international institutions and museums such as the Tate Modern, Tate Britain, V & A, British Museum, Ashmolean Museum, MoMA, Metropolitan Museum of Art, Smithsonian Institute, LACMA, Centre Georges Pompidou, Institut du Monde Arabe, Mathaf: Arab Museum of Modern Art and the Jordan National Gallery of Fine Arts.